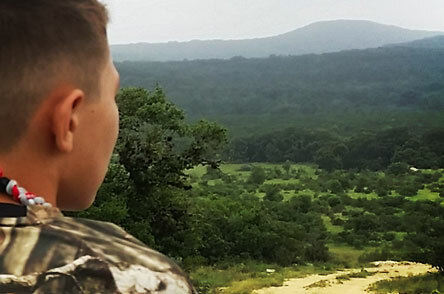 In order to conduct weekend outings or camps, Outfitters and State Directors must work with landowners who provide the land for hunting, fishing and other outdoor events for CTO Chapters. CTO understands the importance of these relationships and we take great care to heed all the wishes and preferences of every landowner with whom we work. Outfitters as well as volunteers must respect the fact that God established each landowner as a steward of his or her property. We strive to set the standard for running safe and meaningful youth hunting and fishing outings. Our policies and procedures, volunteer screening and training, general liability insurance coverage, and strict supervision of youth participants combine to create protection for participating landowners; doing all this in a way that still allows for great fun and meaningful impact for our youth. We secure medical and photographic indemnity release forms from the guardians of all youth participants for all outings and camps. Different states have different laws. But some states, offer liability protection limits for those working with nonprofits. This protection extends to landowners who open their gates to CTO, providing strict statutory limits to liability exposure. Talk to the CTO state director to get more details of what these limits are in your state. In addition, participating landowners are added as an additional insured on our general liability policy. CTO follows thorough policies and procedures for screening and training of all adult volunteers and for the conduct of youth participants. Anytime Cross Trail Outfitters holds events on new properties, the landowner’s information must be provided to the State Director so that property can be added to CTO’s liability coverage. We would love to talk to you about opening your gates to CTO to provide a positive impact in a kid's life.